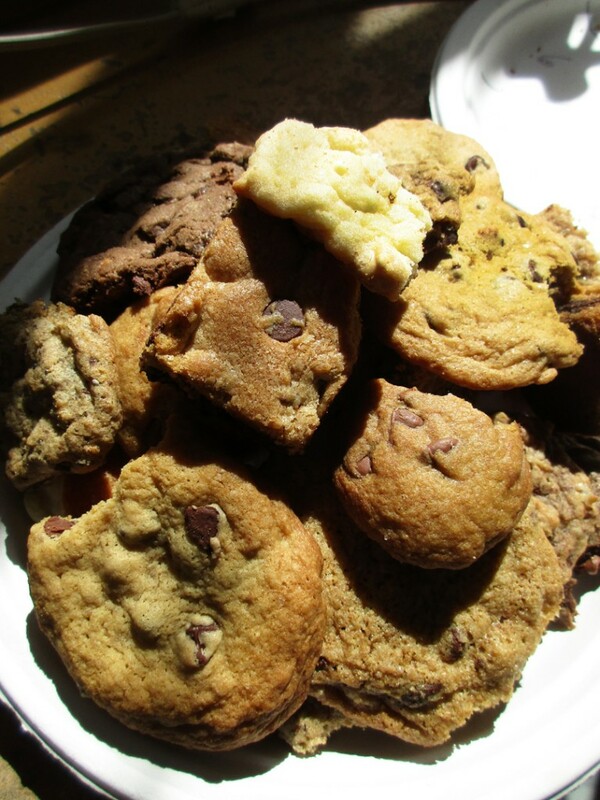 Somehow… again this year… the kids had the brilliant idea to have a chocolate chip cookie bake-off. So today after lunch I spread them out and made plates for each of the kids. 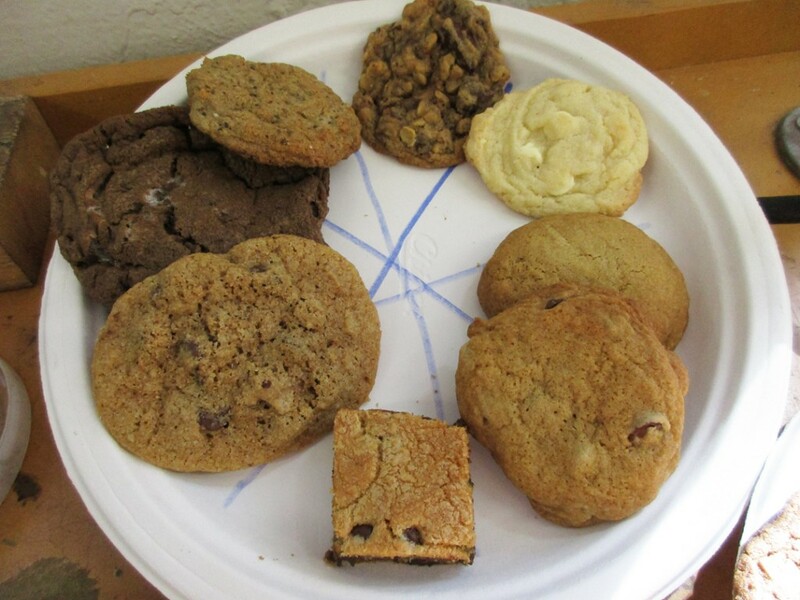 We had eight different entries in the Chocolate Chip Cookie Bake-Off. So each plate had eight cookies with a corresponding number under each one. The instructions were that the “judges” had to taste each cookie and vote for their favorite. And they couldn’t vote for their own. No rules or parameters on “your favorite.” Just a quick vote. Each kid got to taste & vote, as well as Pam and I, and a few other neutral people I pulled into play our game. I had to teach last night so I didn’t have time to make cookies. Plus it would be awkward if I won my own contest. So instead I brought milk for everyone to cleanse their palates. 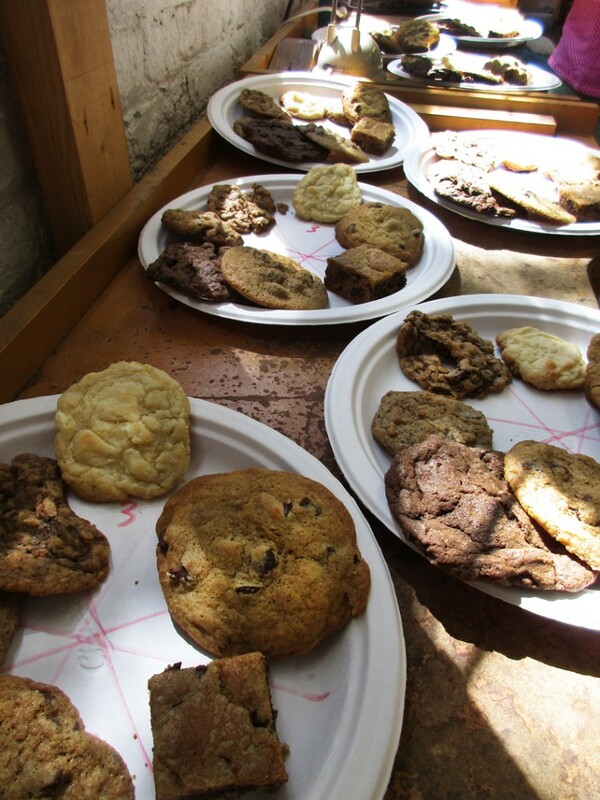 At the end of the contest, we had more than a few cookies left over. A couple huge plates of yummy fun that we shared with anyone who wanted some. We offered them to the parents as they picked up their kids. We offered them to other teachers. And we offered them to everyone in the ceramics department. Notice that there are none of Cookie #8 in this pile. and the winner of the contest!!! Congratulations Madeline on your big win!!! She’ll get the trophy plate when it comes out of the kiln on Friday.